Lambert Simnel (ca. 1477 – ca. 1525), pretender to the throne of England, and proof that some people (not Simnel, in this case) will die for a lie. You get the idea. For the religious part of my household, this time of year becomes an occassion to re-affirm belief that a god-baby was born, more or less as related in the Gospels, and that god-baby was the same one who grew up to perform miracles on Earth and die-and-be-resurrected to save people from sin. In my online writing, I have tended in recent years to use the holiday season to track the state of discussion on whether there was a historical Jesus and, if so, what sort of person this man might have been. My own view is that at bottom, the Jesus of the Gospels and the Jesus of Faith trace back to one or more people who actually lived and whose lives and death became raw content for orally-transmitted and written legends designed to keep and win converts to the Jesus movement. The actual person or people could have been from the past or roughly contemporary to the dates usually assigned to Jesus. When it comes to historical Jesus, however, informed and uninformed opinions come close to one another, since no one really knows much of anything. We are left so far in a permanent parlor-game state. With this caveat, I am pleased to see an article in a high-profile publication that not ony questions historical Jesus, but also refrains from tactily assuming in advance that the answer is “yes, there was a Jesus.” From the Washington Post, we have a piece from an Australian named Raphael Lataster headlined, “Did historical Jesus really exist? The evidence just doesn’t add up.” The sub-head is even more pointed and enticing: “There are clearly good reasons to doubt Jesus’ historical existence,” which pretty much has been my thesis on the matter for years. The methods traditionally used to tease out rare nuggets of truth from the Gospels are dubious. The criterion of embarrassment says that if a section would be embarrassing for the author, it is more likely authentic. Unfortunately, given the diverse nature of Christianity and Judaism back then (things have not changed all that much), and the anonymity of the authors, it is impossible to determine what truly would be embarrassing or counter-intuitive, let alone if that might not serve some evangelistic purpose. I wish Lataster’s argument here were used to preface any discussion of historical Jesus or even discussion of what Jesus did or didn’t teach. We don’t know and have little guidance on how to know the true, contextualized intentions behind the sources we have. Moreover, this problem is all too familiar to anyone who deals with historical subjects. Also important are the sources we don’t have. There are no existing eyewitness or contemporary accounts of Jesus. All we have are later descriptions of Jesus’ life events by non-eyewitnesses, most of whom are obviously biased. Little can be gleaned from the few non-Biblical and non-Christian sources, with only Roman scholar Josephus and historian Tacitus having any reasonable claim to be writing about Jesus within 100 years of his life. 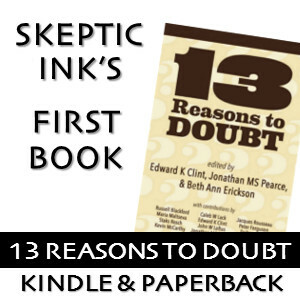 And even those sparse accounts are shrouded in controversy, with disagreements over what parts have obviously been changed by Christian scribes (the manuscripts were preserved by Christians), the fact that both these authors were born after Jesus died (they would thus have probably received this information from Christians), and the oddity that centuries go by before Christian apologists start referencing them. To me, the most significant absence of commentary is Philo/Philon of Alexandria, a Jewish scholar contenporary in both time and place to the events related in the Gospels. This was one man who seemingly would have been in a great position to note the earth-shaking and resurrection of the dead related in the Gospels (see Matt. 27:50-53). An independent account of this from Philo would be an amazing historical witness. A former fundamentalist Christian, Raphael Lataster is a professionally secular PhD researcher (Studies in Religion) at the University of Sydney. His main research interests include philosophy of religion, sociology of religion, Christian origins, logic, epistemology, Bayesian reasoning, justifications and social impacts of atheism, Taoism, overpopulation and sustainability concerns, pantheism, and pandeism. Being passionate about education, Raphael hopes to eventually teach in Religious Studies and possibly Philosophy (critical thinking and philosophy of religion), and also to make every effort to engage with the public, through popular books, speaking engagements, public debates and websites. His other interests include rock-climbing and volunteering with the State Emergency Service. Raphael wrote his Master’s thesis on Jesus mythicism (the view that even a ‘historical’, non-miraculous Jesus may not have existed), concluding that historical and Bayesian reasoning justifies a sceptical attitude towards the ‘Historical Jesus’. For his doctoral work, Raphael is analysing the major philosophical arguments for God’s existence (as argued by William Lane Craig, Richard Swinburne, Alvin Plantinga and Thomas Aquinas), attempts to demonstrate the logical implausibility of the monotheistic concept, explores the theological tendencies of Philosophy of Religion, considers the plausibility of pantheistic worldviews, and ponders the sociological impact of certain sophisticated apologists, such as Craig, whom he dubs the ‘New Theologians’. I would have liked to hear something clearly new about historical Jesus in Lataster’s article, but maybe the new thing is simply that it appears in the Washington Post. If nothing else, mainstream questioning of historical Jesus is a good thing for raising the curiosity of people who otherwise might not consider that there even is a question. Well, I have read Lataster and find the arguments very compelling. I realize your post is many months ago, and since then Ive read Carrier’s treatment of the historicity of Jesus. I am fully convinced of the mythicist position.